I'm happy to announce Deanna Watson is the winner in the Ice Age Continental Drift Blu-ray and Ice Cube Tray give-away! (You'll find the review at this link) Thank you Deanna for reading grandma's cookie jar (please message me your address by December 18, 2012 so I can have them sent to you) and thank you Fox for sending a review copy for me to review and for making another available for me to give away! 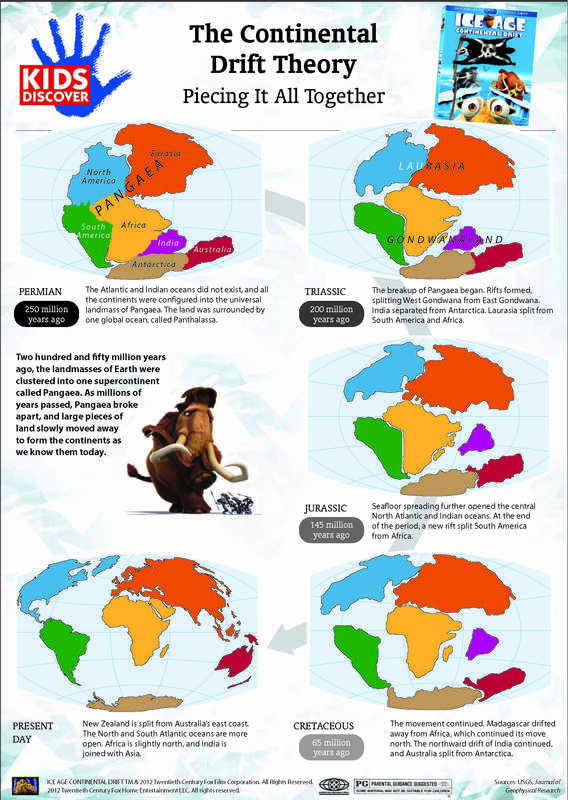 And, for extra fun for everyone, if your grandchildren/children are wondering about continental drift after watching this movie, check out these free, fun resources from Fox and Kids Discover which explains continental drift! (Just follow this link.) While I believe the earth is not as old as these resources present and I absolutely believe God created the world and the flood likely was the "instigator" in the beginning of continental drift, these resources are a tool you could use to talk about this with your grandchildren/children!